Leo Minor – the little lion – is a rather inconspicuous constellation, which probably only a few know of and even fewer know how to find it. Exactly for this reason, we would like to introduce this little lion to you. In the stellar map, the constellation is made up of only a few stars connected by lines. How to Find Leo Minor? In a spring evening, you only need to direct your gaze to the East, in order to spy the little lion. At this time, the constellation is high in the night sky, and easy to see. However, recognizing the constellation is not easy. That’s why it is helpful to orient yourself on two well-known stars. If you have already found Ursa Major (of which the Big Dipper is a part) and Leo Major, then Leo Minor is not far. The lion is located at the feet of Ursa Major and above the head of Leo Major, right in between the two major constellations. The head of Leo Minor almost touches the tail of the Lynx – another of the rather unknown constellations. Admittedly, seeing Leo Minor will most likely not knock you out of your socks. Despite its inconspicuous nature, the little lion has a particularly interesting feature: it is not home to any Alpha star, since Astronomer Francis Baily assumably, unintentionally omitted the inclusion of one. Only one star in Leo Minor has a magnitude of more than 4 (depending on the star map). The brightest is Leonis Minoris, which can be seen in the eastern part of the constellation, and is approximately 100 light years away. The constellation was first mentioned in 1687 by Johannis Hevelius. Since the little lion didn’t exist during antiquity, there aren’t many legends or stories about the constellation. In contrast to the old times, today each star in a constellation must be assigned. 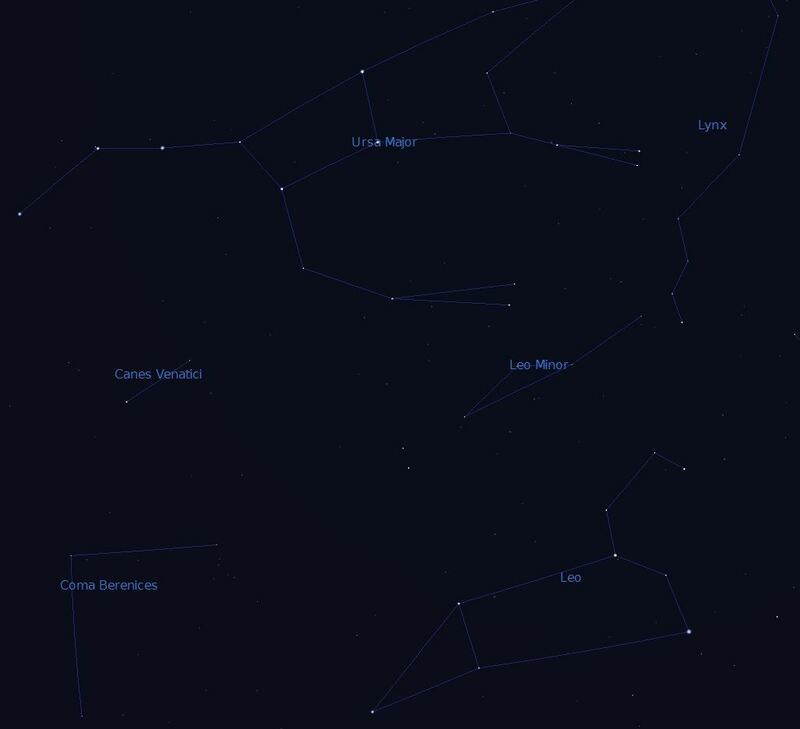 As a result, Leo Minor counts as a filler constellation between the more well-known constellations, so that every star has a home in a constellation.